With a baby on the way, these homeowners needed this small bathroom to have more storage. Isn't it always about more storage in the end? Amber with At Home DC has done it again! 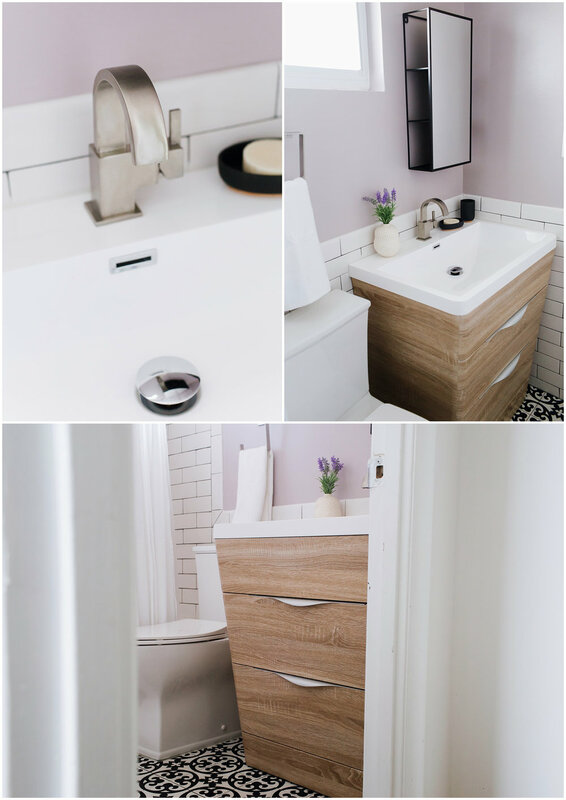 She has transformed these two bathrooms into tranquil and functional spaces with hidden storage. Wait until you see the mirror in the lilac bathroom. Why didn't I think of that?! Head over to Amber's blog for the backstory and detailed product information! MASTER BATHROOM - oh, that chevron floor!